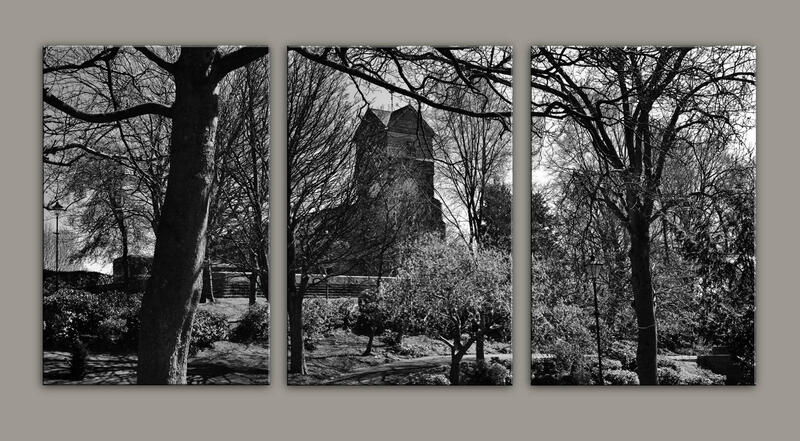 St Leonard's from Jubilee Park canvas triptych available in two colours has been our most popular image so far. 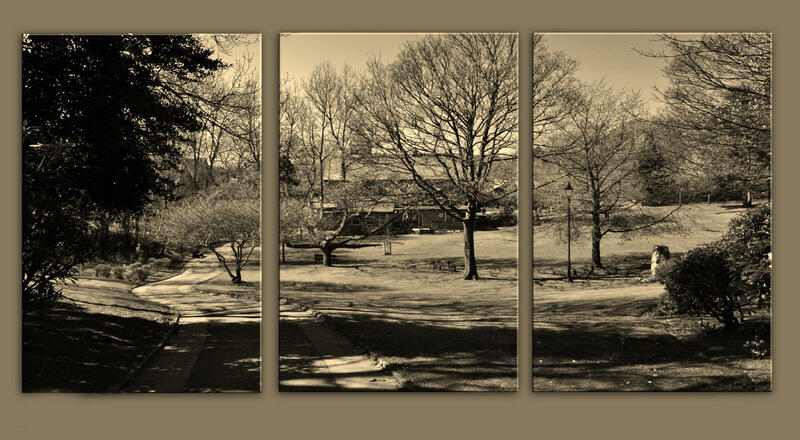 The sepia option has fine glitter applied by hand to the natural highlights in gold. The black & white option option has silver glitter. This gives a subtle glistening effect as it catches the light. 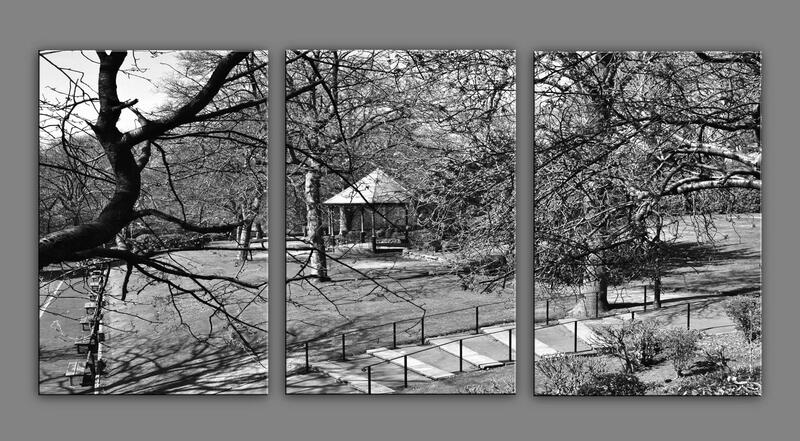 The edges of each panel is black in both cases.